If you could have any designer bag out there, which would you choose? Chances are a Dior purse might top your list—and we certainly wouldn’t blame you. The brand’s accessories always skyrocket to the top of every fashion girl’s wish list yet are classic enough to stand the test of time—the perfect combination, if you ask us. You probably already know and love the Lady Dior and the Diorama, but allow us to introduce you to what will become your latest accessory obsession: the brand-new Dior Runway bag. Available in a slew of materials and colors, the bag has a classic shape but features on-trend twists. Some of them have unique, over-the-top embellishments while others feature bright pops of color. All in all, you can’t go wrong with any of these pretties. We’ll take one in each color, please! 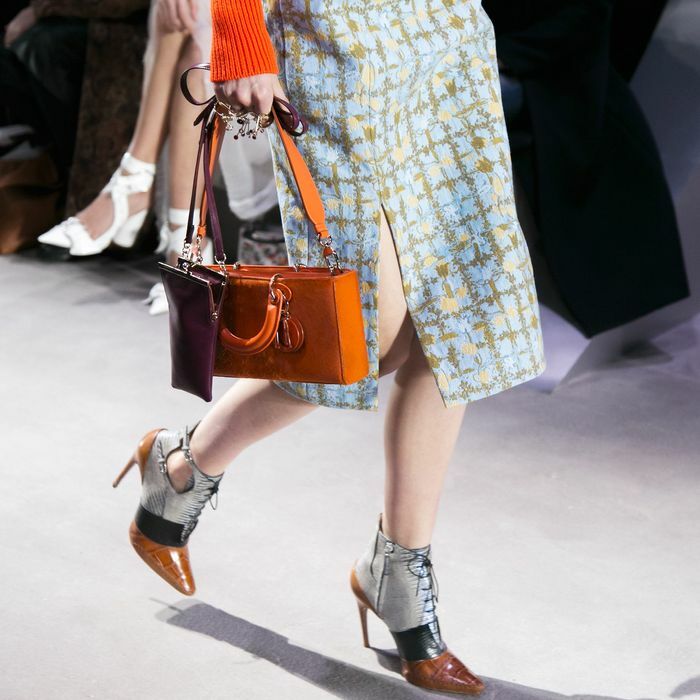 Scroll down to shop the gorgeous new Dior Runway Bag. Which bag is on your dream wish list? Tell us in the comments below!